Fishermen in the self-declared autonomous region of Puntland, northeastern Somalia, are losing their livelihoods and sometimes their lives due to foreign vessels invading their waters, says a minister. "More and more fishermen in Puntland are coming to us to complain about foreign vessels destroying their nets and denying them access to fishing grounds," Mohamed Farah Aden, Puntland Minister of Fisheries, told IRIN. He said these foreign vessels were destroying livelihoods. "I have a number of reports of Somali fishermen killed. These people are not only killing their livelihoods but they are killing them as well." The minister said his office was compiling figures of how many had died in attacks by foreign vessels. He said Puntland authorities had raised the issue with the international forces patrolling the Somali coast to fight pirates. NATO forces, as well as those from other countries, such as Russia and India, were policing the area. Puntland has requested that the foreign navies should also deal with the influx of foreign vessels fishing illegally. "Illegal fishing off our waters is what started the whole piracy thing," he said. According to Ecoterra, an NGO that monitors Somali waters, there is an indirect link between piracy and illegal fishing. Many of the pirates have their roots in self-help groups that wanted to defend "Somali waters and marine resources in the absence of a navy and coastguard". Later, however, the groups became involved in business disputes and were used as mercenaries and eventually evolved into criminal gangs, said Ecoterra. Mohamed Abshir Waldo, an independent analyst and Somalia expert, goes even further, saying the root cause of the piracy "was massive illegal fishing that has been going on for the last 19 years. "It is because of the illegal foreign fishing that the first conflict with Somali fishermen started, when the foreign poachers came to fish within the 12-mile territorial waters. Waldo said he knew fishermen in a small fishing boat that was run over and crushed "with all the seven-member crew killed. There were many other incidents like that one. Many were shot and others burned with boiling water poured on them." A Nairobi-based regional analyst, however, says that even though illegal fishing occurs in Somali waters "on a serious and damaging scale", the origins of piracy lie not with impoverished fishermen, "but with prominent businessmen and political leaders who initially introduced the 'licensing' of foreign fishing vessels as a kind of extortion racket". 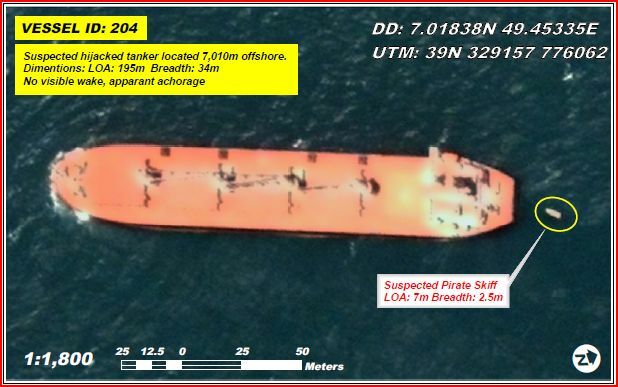 Figures compiled by the International Maritime Organization (IMO) show that in 2008, pirates attacked 135 ships off the coast of Somalia, "resulting in 44 ships having been seized by pirates and more than 600 seafarers having been kidnapped and held for ransom". Most of these were off the coast of Puntland. Jama Isse, a member of a fishing cooperative in the port city of Bosasso, told IRIN that many members were idle due to attacks by foreign ships. "People are afraid to go out there. Sometimes we are mistaken for pirates and sometimes these big fishing ships ram our boats or cut our nets. "If the situation does not improve, many of us will be forced to join the pirates," he said. "We have no other means of making a living." Ahmed Ali Abdalla, who owns several fishing boats, said the number of foreign ships had increased since the foreign navies arrived. He said the foreign ships were using the naval forces as protection and denying locals the opportunity to fish. "They even take our nets with everything in them. It is like taking food from our mouths." Local fishermen were caught between the pirates and the foreign forces, "but the worst are those fishing illegally", he said. "Some of them are armed and have even fired on us or taken our boats." According to the analyst, to end insecurity in Somali waters what is needed is a comprehensive and integrated approach that addresses "not only piracy, but also the problem of illegal fishing, which pirates routinely cite to justify their actions". Somalia has a 3,330km coastline, with major landing sites in Kismayo, Mogadishu, Merka and Brava in the south, and Eil, Bargal, Bolimog, Las Korey and Berbera, and Bosasso in the north. It also has large species, including tuna and mackerel; smaller stocks, such as sardines; sharks and lobster.